Total shipping and handling is $3 on all orders. Seed growing kits are shipped first class mail, and our seed growing kits are available year round. Live plant varieties are shipped Bare-root. 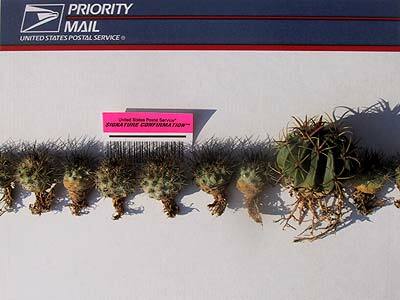 All plants are shipped Bare-root, and plants are shipped using priority mail. Plants are only available from late spring near the beginning of April until fall around the end of September. All orders are PayPal orders only, Thank you. Wisconsin orders will have sales tax automatically collected by PayPal. Purchases from this website are available for United States customers. Seeds and live plants are available to mailing addresses in U.S. and U.S. territories customers only. Because of C.I.T.E.S. restriction please understand that the kind of plant materials offered for sale are unavailable for international commerce. If we are out of an item we will refund your money, or if you would prefer to have any substitutions please e-mail a list of possible substitutes with the order.